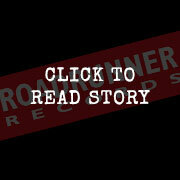 Roadrunner Records UK // Creeper Reveal ‘Hiding With Boy’s Official Music Video! Creeper Reveal ‘Hiding With Boy’s Official Music Video! 2016 has seen CREEPER power to prominence with a string of accolades – Best British Newcomer at the Kerrang! Awards, Best New Band at the Metal Hammer Golden God Awards, a daytime playlist at Radio 1, and praise from Sir Elton John on his Beats 1 show. Now the Southampton sextet conclude the year with the release of the brand new single ‘Hiding With Boys’. 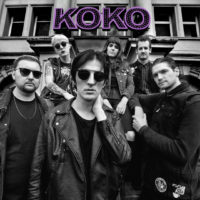 Capturing their unique cocktail of rollicking punk rock and dark gothic romanticism, ‘Hiding With Boys’ also marries Will Gould’s impassioned croon with sweet harmonies from keyboardist Hannah Greenwood. Produced by the band’s regular collaborator Neil Kennedy at The Ranch and then mixed by Neal Avron (Twenty One Pilots), ‘Hiding With Boys’ is the latest tantalising teaser to be taken from their debut album ‘Eternity, In Your Arms’ which will be released on March 24th and can be pre-ordered at creepercult.com. The track’s video extends the storyline that CREEPER first instigated when they posted ‘missing’ photos of each band member online following their sets at the Reading and Leeds Festivals. Part of a trilogy set in the band’s hometown of Southampton, the video tells the story of paranormal investigator ‘James Scythe’. The third and final character in a narrative tapestry Creeper began to weave on 2015s ‘The Callous Heart’ EP and continued on 2016s ‘The Stranger’ EP, ‘James Scythe’ represents the story’s human centre, and is deeply connected to the album’s lyrical themes and concepts. Having just completed a tour with Pierce The Veil and letlive., CREEPER’s rise can be demonstrated as each London headline show has increased in scale from The Old Blue Last to The Barfly to The Underworld and now to THE ELECTRIC BALLROOM on MARCH 30TH. CREEPER’s immersive and theatrical stage show (previously seen at landmark events including their homecoming Halloween show and their headline gig at The Underworld) will be more elaborate than ever before, and will feature on all tour dates for the first time in the band’s history.